Singapore – In an effort to help OSA sufferers identify and treat this disorder, Royal Philips (NYSE: PHG, AEX: PHIA) today announced that it will work with Singapore’s largest health and beauty chain, Guardian Health & Beauty, to screen citizens across Singapore for OSA over the next three months in select Guardian pharmacy outlets. In Singapore, it is estimated that 15 percent of the population has OSA, with men being almost four times as likely as women to have the disorder1. Nearly 42 percent of Singaporeans are admitted to the hospital for heart attacks and have undiagnosed severe OSA2, underscoring the need for screening and awareness. “By promoting public awareness in Guardian pharmacies, we aim to improve sleep quality and overall health for those who may be suffering from undiagnosed OSA,” said Suvendra Das, General Manager Philips Healthcare Singapore. Through this first-of-its-kind outreach in Singapore to combat OSA, Philips and Guardian will target undiagnosed sleep apnea sufferers with a two-part approach that encompasses education about OSA and home screening for the disorder. Beginning in August, patrons will have the opportunity to visit RUSleeping™ kiosks from five select Guardian pharmacy sites for educational materials on OSA that will aid in recognition of symptoms of the disorder. Patrons to Guardian who wish to be screened for the disorder will then complete a sleep evaluation survey designed to identify those who are at risk for OSA. Upon completing this questionnaire, a Guardian pharmacist will issue a RUSleeping™ Real-Time Screener (RTS) home sleep diagnostic device. Patrons will pay a small deposit fee to take the device home and will be refunded their deposit upon return of the device. Philips has additionally embarked on specially training the team of pharmacist’s specifically for these purposes at all five Guardian pharmacy outlets. At home in the familiar sleep environment, the RU Sleeping RTS will track users’ sleep for a night (nine hours) and collect data that may indicate sleep apnea. 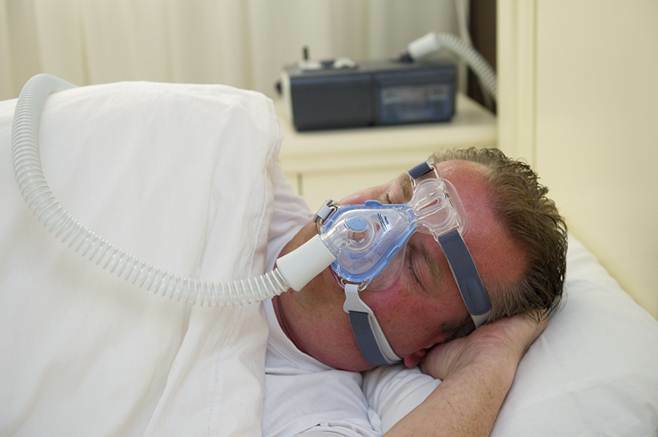 The device, which assigns a unique serial number to each user, will record sleep data in real time and provide evidence of potential periods of breath interruption, which could indicate sleep apnea. Once the user has slept with the device for a night, they will return it to their Guardian pharmacy. A trained pharmacist on-site will then provide patient-care counseling on treatment options if their data shows evidence of potential OSA. The RUSleeping™ kiosks and testing devices are exclusively at Guardian pharmacies in Jurong Point, Paragon, Causeway Point, Nex and Ion Orchard beginning 5 August 2013. Sleep is often labeled as the ’third pillar of good health’, along with diet and exercise. OSA is one of the most common sleep disorders, and affects approximately two to four percent of the adult population globally. It is a disorder characterized by airway collapse (behind the tongue) during sleep, which obstructs breathing. If untreated, OSA can contribute to the development of high blood pressure, diabetes, heart attacks, and strokes.